I’m going to be at a bunch of different places this week, so I decided to make it “room” with a view week. 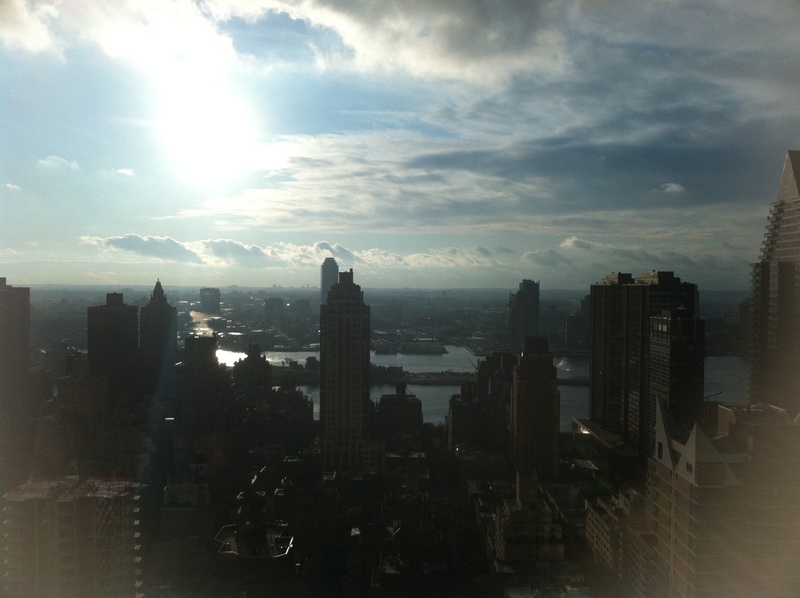 For the first day, this is the view from my new office on the 31st floor. I overlook the East River and Brooklyn . . . not too shabby, huh? I’m a very lucky girl. 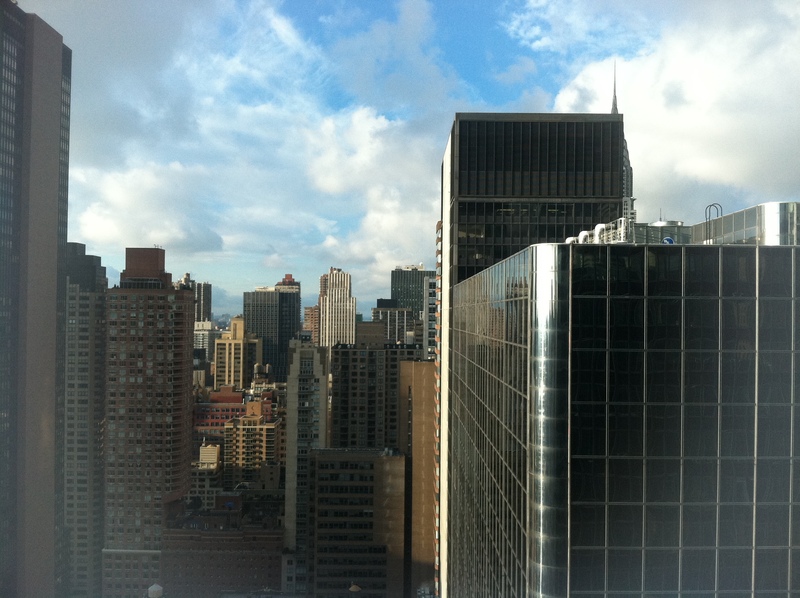 This is the view from the conference room next to my office, which faces downtown. You can see the top of the Empire State Building over to the right.